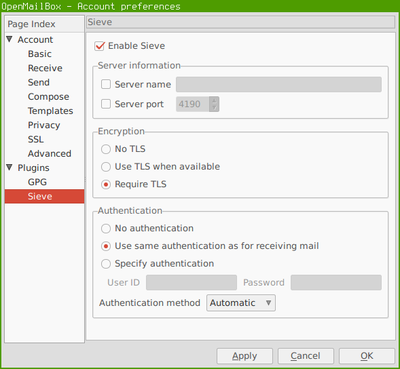 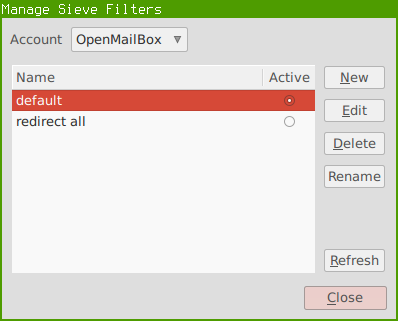 The Claws Mail ManageSieve plugin provides an interface for managing Sieve filters. 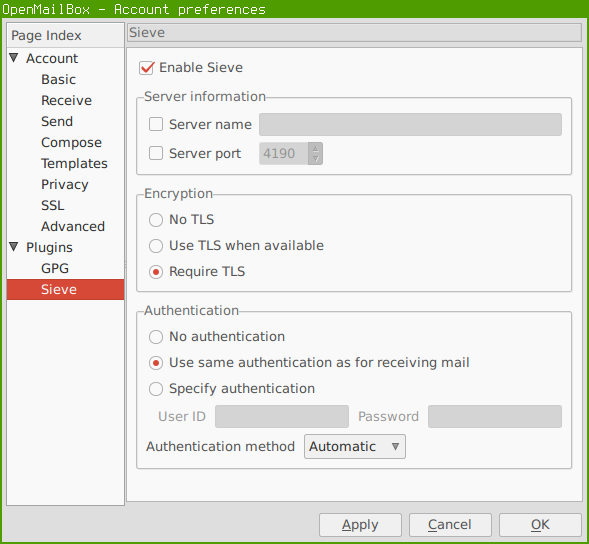 Sieve filters are used for filtering mail on mail servers, usually with an IMAP account. 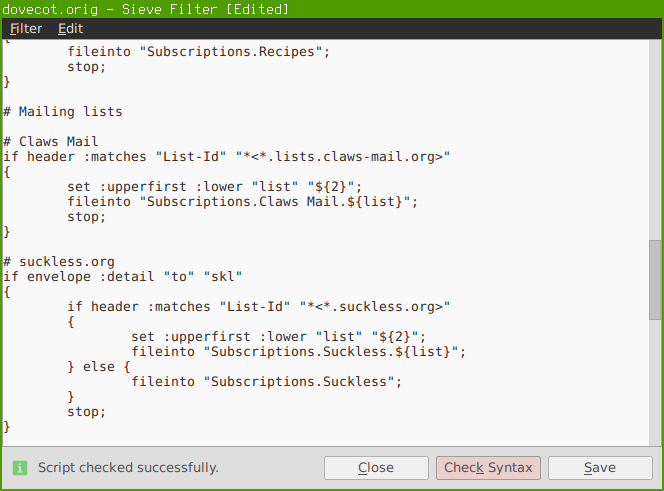 This plugin handles managing Sieve filters, editing them, and checking their syntax. 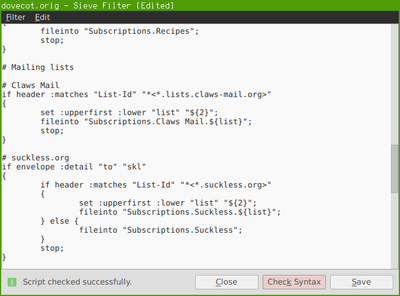 To learn how to write Sieve filters, see RFC 5228: Sieve: A Mail Filtering Language and the Sieve language extensions.